Milan, 08 May 2018 – At a meeting today chaired by Roberto Colaninno, the Board of Directors of Piaggio & C. S.p.A. (PIA.MI) examined and approved the interim report on operations as at and for the three months to 31 March 2018. In the first quarter of 2018 the Piaggio Group reported an improvement in performance from the year-earlier period, with significant progress on all the main earnings indicators and a reduction in debt. Group consolidated net sales totalled 312.3 million euro, an improvement of 1% from 309.1 million euro at 31 March 2017. At constant exchange rates, net sales would have risen by 6.7% from the first quarter of 2017. The industrial gross margin was 96.7 million euro, up by 1.6% from 95.1 million euro at 31 March 2017. The return on net sales was 31%, the best first-quarter result since admission to trading (30.8% at 31 March 2017). Operating expense sustained by the Group in the first quarter of 2018 amounted to 82.2 million euro, a decrease of 2.4% from the year-earlier period generated in part by the reduction in amortisation and depreciation. The changes in the income statement described above generated consolidated Ebitda of 43.2 million euro, up by 4.9% from 41.2 million euro at 31 March 2017, the best first-quarter result since admission to trading. The Ebitda margin was 13.8% (13.3% at 31 March 2017). Ebit in the first quarter of 2018 amounted to 14.5 million euro, up 32.4% from 10.9 million euro in the first quarter of 2017. The Ebit margin was 4.6% (3.5% at 31 March 2017). At 31 March 2018, the Piaggio Group posted profit before tax of 7 million euro, a strong increase from 2.5 million euro in the first quarter of 2017. Income tax for the period was 3 million euro, with an impact on pre-tax profit of 43%. The Piaggio Group closed the first quarter of 2018 with net profit of 4 million euro, a significant increase compared with 1.5 million euro in the first three months of 2017. Net financial debt at 31 March 2018 stood at 502.9 million euro, an improvement of 29.5 million euro from 31 March 2017 (532.4 million euro). At 31 December 2017 net financial debt was 446.7 million euro, lower than at the end of the first quarter of 2018 due to the typical seasonal nature of the two-wheeler business, which absorbs financial resources in the first half of the year and generates them in the second half. Group shareholders' equity at 31 March 2018 was 380 million euro (385.1 million euro at 31 December 2017). In the first quarter of 2018, Piaggio Group capital expenditure amounted to 22.3 million euro (18.3 million euro at 31 March 2017). The total workforce of the Piaggio Group at 31 March 2018 numbered 6,632 employees. The Group’s Italian employees numbered 3,435, substantially unchanged from the year-earlier period. During the first three months of 2018, the Piaggio Group sold 129,700 vehicles worldwide, an increase of 7% (121,200 shipments in the year-earlier period), and reported consolidated net sales of 312.3 million euro. The Group geographical breakdown reflected strong volumes growth in India (+31%) and Asia Pacific (+11%), which more than counterbalanced the sales decline in Emea and the Americas (-15.1%), caused largely by unfavourable weather and a downturn in demand for 50cc vehicles. 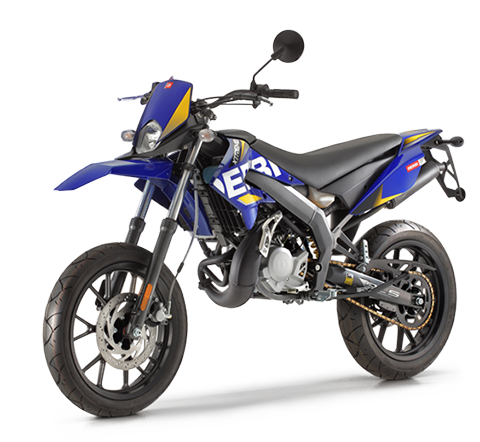 In the first quarter of 2018, the Group sold 80,600 two-wheelers worldwide(82,500 in Q1 2017), generating net sales of 210.1 million euro (218.9 million euro in the year-earlier period). The figure includes spares and accessories, on which turnover totalled 29.5 million euro, in line with the first quarter of 2017. The Group reported a strong increase of 36.4% in two-wheeler volumes on the Indian market from the first quarter of 2017, while the two-wheeler volume growth in Asia Pacific was 11% from the year-earlier period. These results more than offset the 15.9% fall in volumes in western countries. 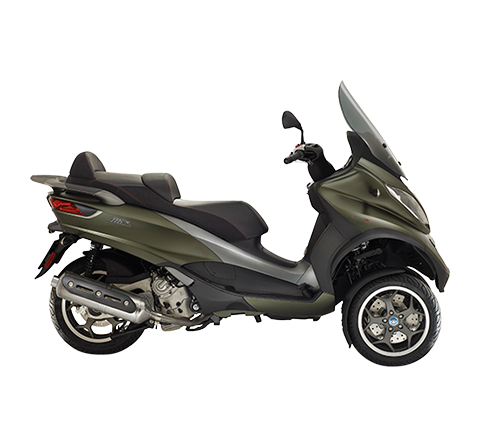 In Europe the Piaggio Group confirmed its leadership of the scooter segment, with a share of 23.6%. 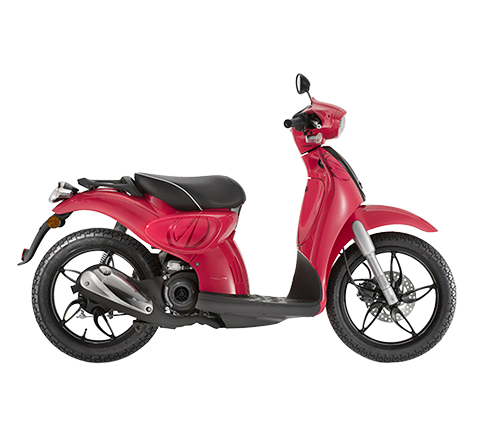 The Group retained a particularly strong presence on the North American scooter market, where its share reached 24.7%, and is already taking action to strengthen its position in motorcycles in the region. In the scooter sector the main highlight was the excellent performance of the Vespa brand, which boosted worldwide sales by about 13% from the first three months of 2017, with a particularly positive contribution from the Indian market, where sales volumes rose by more than 70%. 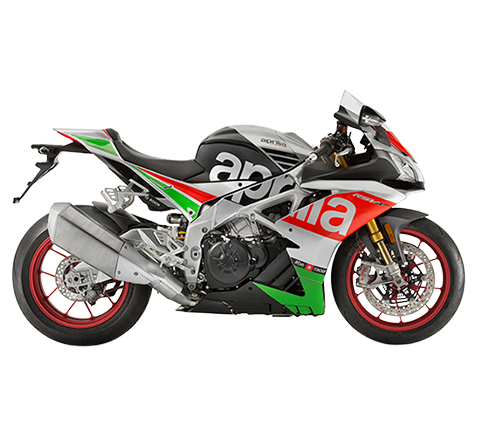 In the Group motorcycle business, important results were achieved by the Aprilia brand, with a 30.6% increase in sales, and a notably positive response to the naked Tuono models and the SX 50. 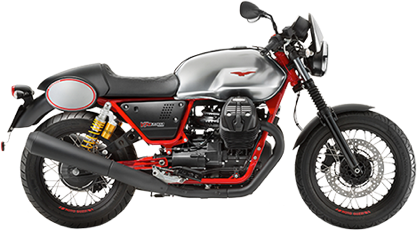 Moto Guzzi turnover was assisted by the positive sales performance of the V7 models, with worldwide growth of approximately 18%. In commercial vehicles, the Piaggio Group reported strong progress, with sales of 49,200 vehicles, up 26.7% from 38,800 in the first quarter of 2017, and net sales of 102.2 million euro, up 13.3% from 90.2 million euro in the year-earlier period. The figure includes spares and accessories, where sales totalled 11.9 million euro, up 6.2% from 11.2 million euro in the first quarter of 2017. Demand on the Indian market for three-wheel commercial vehicles showed strong signs of recovery; the PVPL subsidiary had an overall market share of 20.8% and confirmed its leadership in the Cargo segment with a share of 45.1%. In the first three months of 2018 the PVPL production hub also exported 6,100 commercial vehicles worldwide. These sales arose in part in the EMEA and Americas areas and in part in the India area, in connection with responsibility for management of the individual markets. Piaggio Fast Forward (PFF), the Piaggio Group company based in Boston, recently enhanced its Advisory Board with the entry of Daniela Rus, Director of the Computer Science and Artificial Intelligence Laboratory (MIT CSAIL) and Professor of Electrical Engineering and Computer Science (EECS) at the MIT in Boston. Development work continued on the first innovative projects, Gita and Kilo, and the first road tests were conducted in Venice Beach, Los Angeles, attracting great interest. Gita and Kilo are smart vehicles able to move autonomously in today’s increasingly complex urban environments. The vehicles accompany the user, map their surroundings and monitor other moving objects. 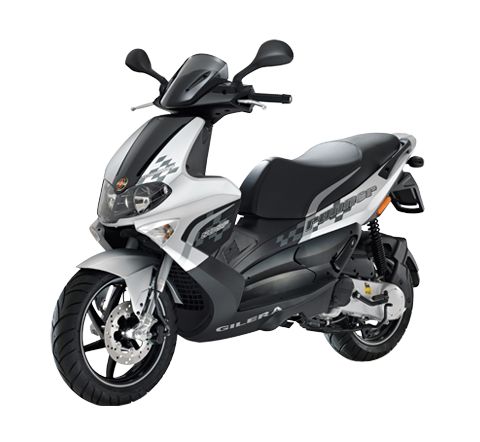 On 30 January, the Piaggio Group announced the strengthening of its distribution network after reaching the important milestone of 300 Motoplex stores in Europe, the Americas, Oceania, Asia and India. The Group multibrand stores flank the traditional distribution network. On 8 February, during the Auto Expo show, the Group presented the new Aprilia SR 125 and the Aprilia Storm 125 for the Indian market, intended for a broad target in a fast-growing segment, and flanking the best-selling Aprilia SR 150 and the premium scooter offer with the Vespa brand. On 27 February, the Advisory Board of Piaggio Fast Forward (PFF) was further enhanced with the entry of Daniela Rus, Director of the Computer Science and Artificial Intelligence Laboratory (MIT CSAIL) and Professor of Electrical Engineering and Computer Science (EECS) at the MIT in Boston. On 26 March, the Moody’s Investors Service rating agency announced that it had upgraded its Outlook for the Piaggio Group, from “stable” to “positive”, and confirmed the company's B1 ratings. The following week, on 5 April, the Standard & Poor's Global Ratings agency announced its upgrade of the Piaggio Group rating from “B+” to “BB-”, and confirmed its Outlook as “stable”. On 9 April, the Piaggio Group began placement of a 7-year non-convertible unsecured senior bond, which was successfully completed on 18 April. The 250 million euro issue pays annual interest of 3.625%. The proceeds of the notes will be used to refinance bonds of the same amount maturing in 2021 and will enable the Group to strengthen its debt profile by reducing the average cost of funding and significantly extending average maturity. The response of institutional investors to the issue was extremely positive, in and outside Italy, with orders for around 1.7 billion euro (almost 7 times oversubscribed). On 10 April, the Piaggio Group launched a partnership to market the Ape in Egypt. This is part of its plan to strengthen and expand its position on the fastest-growing markets. With light commercial vehicle shipments of around 70,000 in 2017, Egypt is the world’s second export market after Nigeria for three-wheel vehicles, with volumes rising 50% since 2010. On 16 April, the Piaggio & C. S.p.A. annual general meeting appointed the Board of Directors: Roberto Colaninno, Matteo Colaninno, Michele Colaninno, Giuseppe Tesauro, Graziano Gianmichele Visentin, Maria Chiara Carrozza, Patrizia Albano, Federica Savasi and Andrea Formica. The shareholders also appointed the Board of Statutory Auditors and approved payment of a dividend of 5.5 eurocents per ordinary share. On the same date, at a meeting held after the AGM, the Piaggio & C. S.p.A. Board of Directors named Roberto Colaninno as Chairman and Chief Executive Officer, Matteo Colaninno as Deputy Chairman and assigned strategic development powers to director Michele Colaninno. 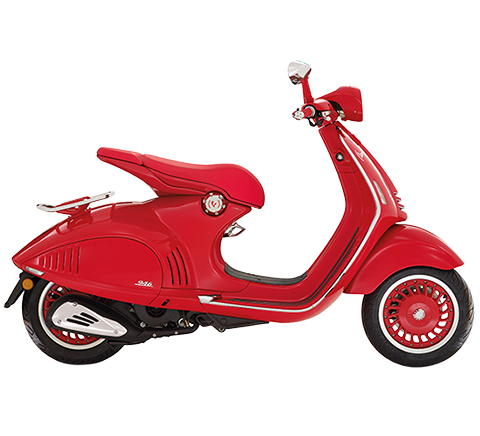 In connection with the authorisation for the purchase and disposal of own shares given by the Piaggio AGM on 16 April 2018, the Board of Directors also approved the launch of a share buyback program, which represents a useful strategic investment opportunity for the purposes allowed under law, including the purposes contemplated in art. 5 of Regulation (EU) 596/2014 (Market Abuse Regulation, “MAR”), among which the purchase of own shares for subsequent cancellation, and in the practices allowed under art. 13 MAR. the buyback program may be implemented, in one or more tranches, through 16 October 2019. The presentation of the financial results as at and for the three months ended 31 March 2018, which will be illustrated during a conference call with financial analysts, is available on the corporate website at www.piaggiogroup.com/it/investor. The Piaggio Group consolidated income statement, consolidated statement of financial position and consolidated statement of cash flows as at and for the three months ended 31 March 2018 are set out below.